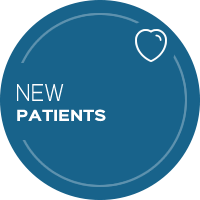 Our objective is to provide a high energy healing environment for our patients. We pride ourselves on our care expertise and efficiency. 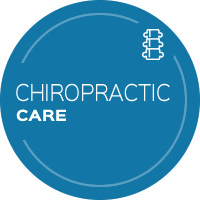 We understand that you get Chiropractic care so you can live a full life. Our goal with every patient is simple: to correct any problems in your body that are causing you concern and holding you back from living. Florence Chiropractor Dr. Brett Koester treats your entire body from head to toe, taking a comprehensive look at how best to help you. At Koester Chiropractic Center, we hope to help you eliminate medications you may be taking for pain and resolve any health issues that are related to chiropractic. If we feel that we’re not the best place for you, you’ll be told immediately. We respect your time and are always honest with you. Chiropractic care is safe, effective, and boasts a remarkable 96% success rate. We love hearing from our patients that our office is the nicest they’ve ever been in. It’s family-oriented and constantly updated to stay fresh and bright, giving you a pleasant experience each time you step in. You won’t have to worry about long waiting times, either, and are seen promptly. 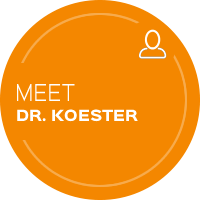 Dr. Koester has treated over 18,000 patients since he’s been in practice, and understands how to help people of all ages with a variety of different needs. By incorporating chiropractic care into your life, you can have better health, less pain and an overall sense of greater well-being. 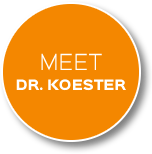 Dr. Koester uses a light touch in your care, making sure that you’re comfortable and relaxed. Contact us today to learn more! We offer same-day appointments and are in-network with insurance plans. Dr. Brett Koester's approach is simple. We believe that health is amongst our most valuable possessions. And while we generally meet people after they've lost their health, our commitment is two-fold. Thank you for always being available with flexible scheduling. Dr. Koester’s office was a breath of fresh air. The doctor is very attentive and was genuinely interested in my care. His staff was very helpful and kind. I feel as though I am part of a family during my visits not just a patient. Everyone always makes you feel welcomed with a warm and friendly smile! They really do care about you as a person and for you. Very friendly, helpful and timely. So glad I found this practice! The doctor and his staff was so nice. Very helpful staff and Dr. Koester is a very compassionate chiropractor with a calming demeanor. He explains everything. No question goes unanswered. He really cares about his patient. I have dealt with many doctors because of my health conditions and Dr. Koester and staff are of the best in the business. Chiropractic care at it’s best! Awesome doctor and awesome staff!